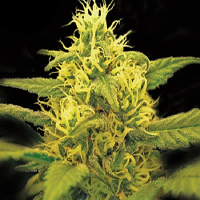 Haze Mist Feminized Marijuana Seeds by Advanced Seeds: Haze x White Widow. 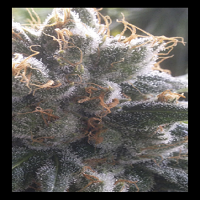 One of our strongest strains, we have obtained this very potent and stable strain by crossing our best sativa mother plants with an indica to reduce the long flowering time typical of the haze. Expect a big harvest of buds covered with abundant resin. The aroma is intense and fruity. The flowering time indoor is about 60 to 70 days. Outdoor the plant shows a good resistance to mould due to its sativa inheritance.